It was around 5:00 or so last Saturday afternoon. I had just showered, put on some golf shorts and a tee shirt. I was tired after working all day in my yard with the Lovely Sharon and Son Alex. It was a tiring but a good day, working side by side with the two people who mean the most to me. Son Alex had left for his house and the Lovely Sharon was showering and washing her hair. I sat on a soft chair on my deck and decided to check my email. I saw two emails from Wayne, a good friend from Palm Desert. Wayne is the godfather of my Ironwood Country Club men’s golf group. Since most of the group is gone from Palm Desert for the summer season, I thought he must have sent some dumb joke or some inspiring email like we all get more often than we care to. As I opened the email on my cell phone I was only half paying attention to it. When I did read it, the words hit me like someone had struck me with a club. Wayne was informing our group of men friends that our dear friend Glenn has died in an automobile accident the previous evening and Glenn’s wife Diane had been injured. The news was numbing. I ran to Sharon and told her what had happened. The phone number of one of Glenn’s sons was on Wayne’s email and I called him. He and Diane were at the funeral home arranging for the funeral and burial. This was all unbelievable. I ached and had tears in my eyes as I hung up from the call. Glenn was just about as unique of a person as anyone I have ever met. I have been friends with him for ten years or so, meeting him and his first wife, also named Diane, at Ironwood Country Club. I played dozens of round of golf with him over the years. I had dinners and lunches with Glenn, I attended many parties that Glenn also attended. I knew this man and knew him well and the thought of him not being alive was more upsetting that I could have guessed. 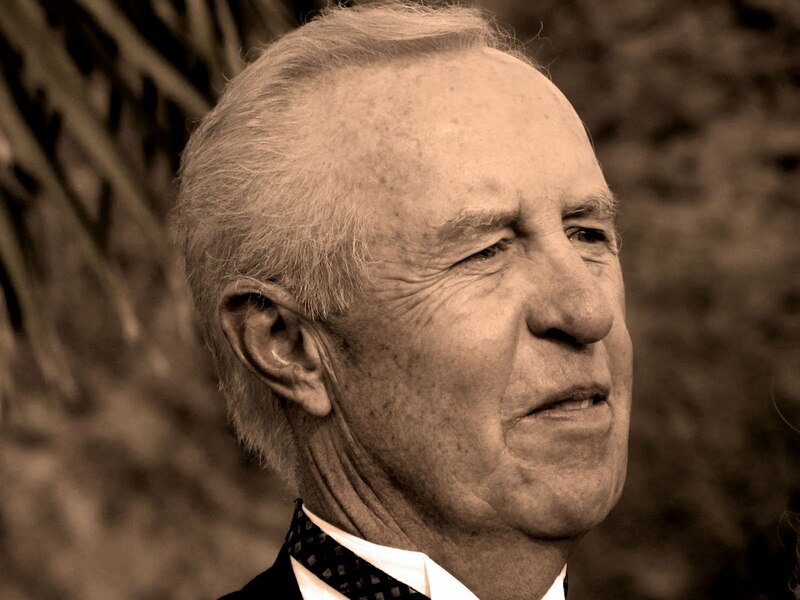 Glenn had a love of life, a love of golf, a love of jokes and a love of his family. His first wife, Diane and he had been married for more than 40 years when she passed away from cancer. The Lovely Sharon and I played golf with Glenn and Diane not too long before she died. She was ill and we all knew that she would not be getting any better, but during our golf round, Glenn was still trying to help her with her swing. I can still remember that day when Glenn was trying to get Diane to try a new, in the vogue, golf swing and I can still hear her objection telling him in a rather bothered tone that “I don’t want to do ‘stack and tilt’”. Most of the time when I saw Glenn he would come to me, shake my hand or put his arm around me. He would frequently say something about the Lovely Sharon’s golf shoe collection or he would tell me how good of a golfer she was and how bad I was. He was right on both accounts. He would always have some very dumb joke that took forever to tell and he would have forgotten that he had already told it to me. I would always let him tell me the joke again because I loved how much pleasure he got out of telling the joke. Sometimes his jokes or comments were a bit risqué and I think more than a few ladies at Ironwood, were not happy about his adolescent behavior. Adolescent is a good word for Glenn. He had a joy of life and friends and golf that was boyish in its enthusiasm. He was 69 years old but he was not an old man. I think Glenn’s emotional age stopped around 16 or 17 years old. Some of us just get to be grumpy old men as we age and we lose that adolescent ability to see wonder or humor or awe around us. That was not Glenn, he enjoyed his life and when I was with him, he made me enjoy my life more. After Glenn’s first wife Diane died, Glenn was alone and he was not a man who was meant to be alone. Glenn needed a partner. He needed someone to impress, to laugh at his jokes to scold him when he needed to be scolded which was fairly often. He was lucky to find a new lady and coincidentally, she was also named Diane. They were married this spring near the 14th hole at Ironwood’s South Course, the same place where the Lovey Sharon and I were married in March 2004. The wedding was short and sweet and so very private. There were only seven of us there including the bride and groom and the retired judge who conducted the ceremony. I was pleased to be one of the witnesses signing the official state of California form of marriage. A week or so later, the newly married couple had a reception at the Clubhouse which was attended by so many friends. There were hugs and laughs and heartfelt pleasure that these two people had found each other. Glenn and Diane asked me to give the official toast at the wedding reception which I did and which I was so honored to do. Glenn read this blog and frequently said something about it. He made fun of me or suggested new topics or told me he liked the blog. Last year at a party he came up to me and told me to write a blog entry about him. I did and if you care to, you can read it at http://www.bheadman.com/2010/02/dentist-glenn-from-minnesota.html. So last Saturday night the Lovely Sharon and I sat on our deck and toasted Glenn again. I cried several times that night. For some reason this gentle adolescent man had made an impact on me. I will miss him. I will miss his laughter and I will try to be just a little more adolescent.